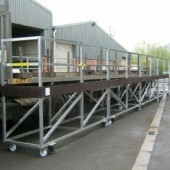 A safe means of loading and unloading HGV’s, whilst offering protection from falling and heights. A.V. 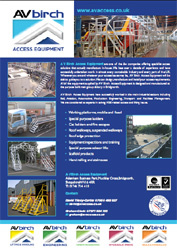 Access have recognised like many other companies a need to protect their employees from falling from a vehicle whilst loading or unloading takes place.We have developed our existing modular platform system into a mobile, versatile and cost effective way of protecting employees when working at heights. This system assembles in less than 5 minutes, more option available. 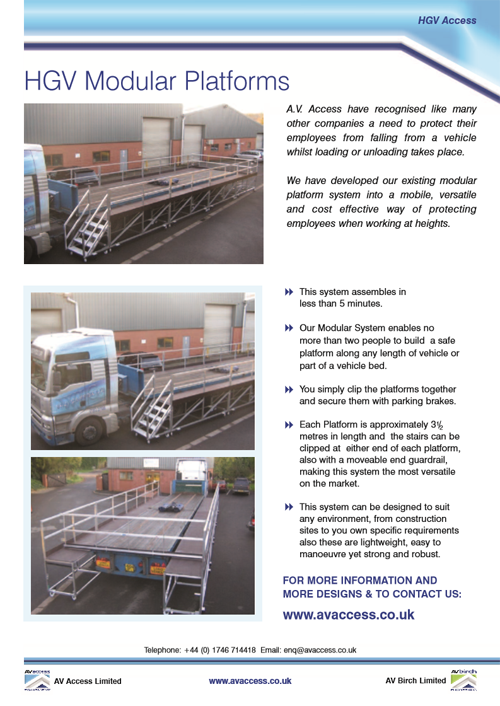 Our Modular System enables no more than two people to build a safe platform along any length of vehicle or part of a vehicle bed. 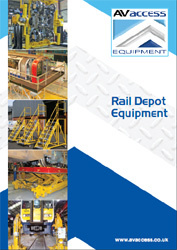 You simply clip the platforms together and secure them with parking brakes. 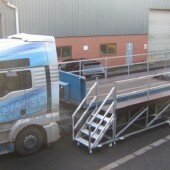 Each Platform is approximately 3.5 metres in length and the stairs can be clipped at either end of each platform, also with a moveable end guardrail, making this system the most versatile on the market. 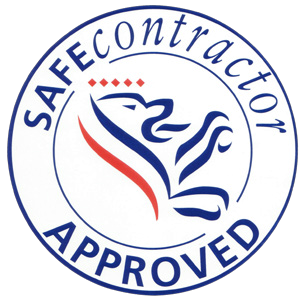 This system can be designed to suit any environment, from construction sites to you own specific requirements also these are lightweight, easy to manoeuvre yet strong and robust.